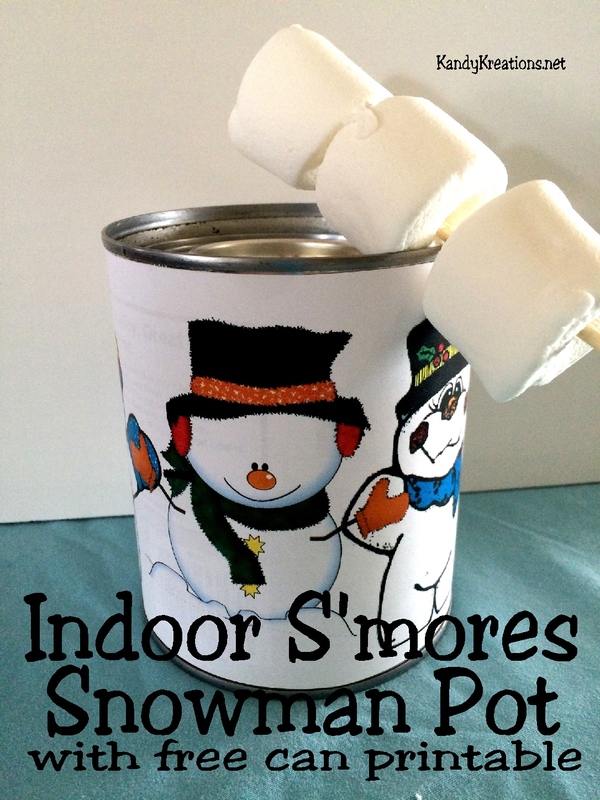 Keep warm this winter and have a lot of fun with indoor s'mores. You can turn a family night into something extra special with a few simple ingredients and this free snowman pot printable. While I'm out there, the only thing that keeps me going is the thought of a mug of hot chocolate and a roaring fire. 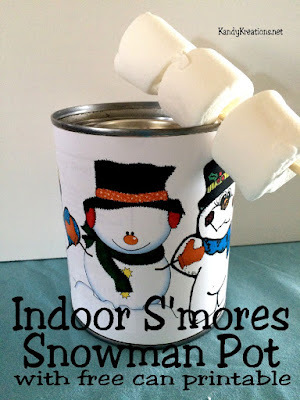 Since we don't have a fireplace anymore, I had to get creative to have a fire and cook our indoor s'mores. Turns out, it wasn't that hard, but definitely needed some "cutesing" up. So I created this S'mores snowman pot with a free can printable so you can have some cute s'mores tonight when it's dark and cold. 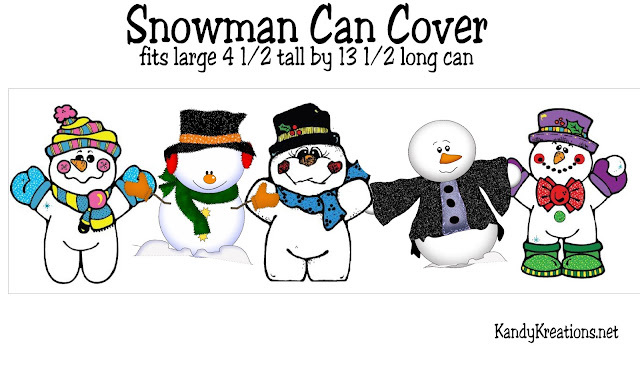 Start by printing and cutting out the Snowman Can printable (at the bottom of the page.) 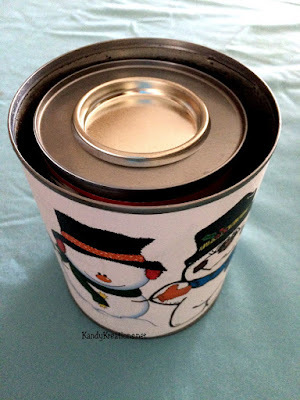 Wrap it around your empty and clean fruit can and secure using glue or tape. I wanted my heat to be closer to the top to make warming the marshmallows easier, so I went outside and filled my fruit can about half way with rocks from my front yard. It's up to you if you want to do this step. 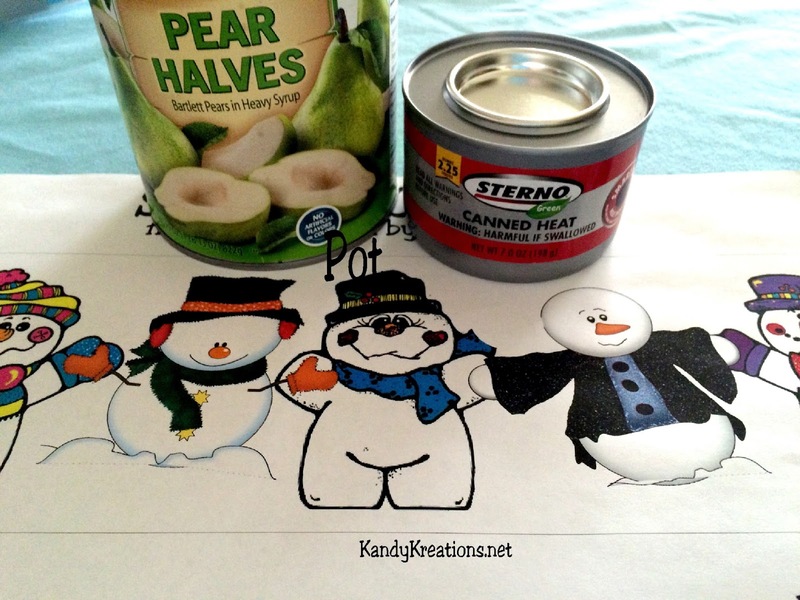 Add your can of heat to the fruit can. When you are ready, pop the lid off your heat and light. 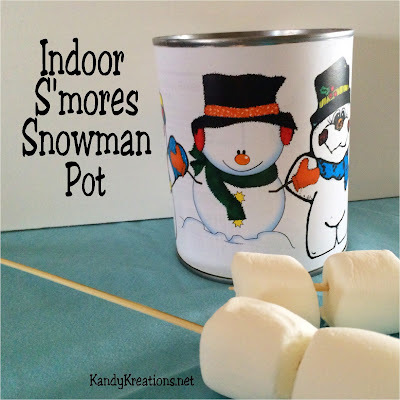 Add your marshmallows and enjoy some fun indoor s'mores on a cold winter's night.